People smugglers in Morocco are now offering African migrants an “all-inclusive” smuggling package which includes a flight to Casablanca and passage to Spain. Despite the slowdown of the Libyan migrant route, people smugglers have continued to operate their businesses by switching to different migrant routes. Now, according to a migrant from Cameroon, they are offering “all-inclusive” luxury smuggling packages to get migrants into Europe from Morocco. Die Welt reports. Cameroonian Patou Sedrick, 32, a migrant who now works with migrants in Tangier, said that smugglers charge 4,500 euros to West African migrants for their “luxury package”. The deal involved a flight to Casablanca, private accommodation, and a trip to the Spanish mainland. 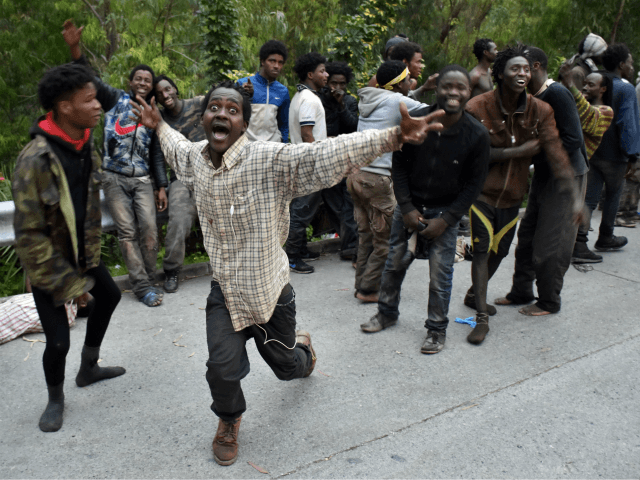 “As soon as the refugees have arrived on the Iberian peninsula, they will give notice at home and the money will be paid,” Sedrick said. “Think about it, with several hundreds of refugees you can earn more than a million euros in one day,” Sedrick added and noted that with that amount of capital it was easy for the smugglers to bribe officials. Experts believe that the scale of the human trafficking operations must be operated by international mafia groups. They single out Guinea as a particular hub for organised criminals who import drugs from South America and smuggle them to Europe. So far this year, the International Organization for Migration (IOM) estimates that 18,000 migrants have arrived in Spain. While many have flooded into the North African enclaves of Ceuta and Melilla, an increasing number have made the sea crossing to the Spanish mainland. In August, authorities picked up 600 migrants off the coast of Spain in one 24-hour period alone. In other incident, migrants were caught on film storming a beach packed with tourists on the coastal city of Cádiz.